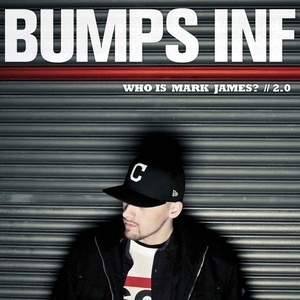 In April of 2011 Bumps INF dropped a bangin' 26 track album called, Who is Mark James 2. It has at least 17 tracks definitely worth listening to. This is the 5th album available on Sola Tunes from Bumps INF. 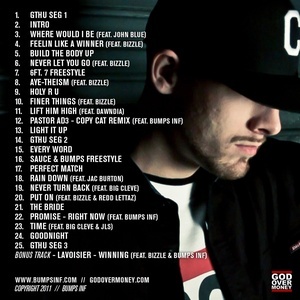 Some of the best tracks on Who is Mark James 2 are Feelin Like a Winner ft. Bizzle, Never Turn Back (ft. Big Cleve), Winning feat. 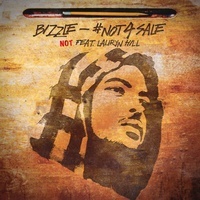 Bizzle (Bonus Track), Build the Body Up, Never Let You Go, Holy R U, and Finer Things ft. Bizzle. The full 26 track list is: #1 Grow the Heck Up Segment Pt. 1, #2 Intro, #3 Where Would I Be ft. John Blue, #4 Feelin Like a Winner ft. Bizzle, #5 Build the Body Up, #6 Never Let You Go, #7 6FT. 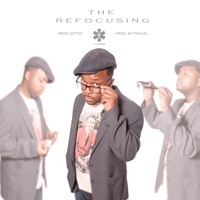 7 Freestyle, #8 Aye-Theism ft. Bizzle, #9 Holy R U, #10 Finer Things ft. Bizzle, #11 Lift Him High ft. Dawndia, #12 Copy Cat Remix ft. Pastor AD3, #13 Light it Up, #14 Grow the Heck Up Segment Pt. 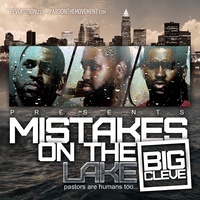 2, #15 Every Word, #16 Sauce & Bumps Freestyle, #17 Perfect Match, #18 Rain Down ft. Jac Burton, #19 Never Turn Back (ft. Big Cleve), #20 Put On ft. Bizzle & Redd Lettaz, #21 The Bride 2.0, #22 Promise - Right Now, #23 Time ft. Big Cleve & JLS, #24 Goodnight, #25 Grow the Heck Up Segment Pt. 3, and #26 Winning feat. Bizzle (Bonus Track).